The lawyers for Noor Salman, facing charges of aiding a terrorist, want prosecutors to stop suggesting a motive for the 2016 Orlando massacre. 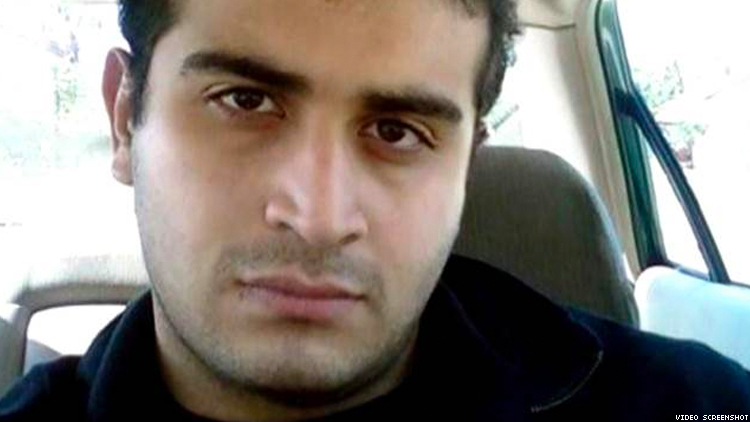 Defense attorneys say there’s no way to know if Omar Mateen targeted the LGBT community when he attacked the Pulse nightclub in Orlando and instigated one of the deadliest mass shootings in American history. Attorneys for the dead shooter’s wife have asked a judge to prohibit federal prosecutors from suggesting that motive for the massacre, and they say Mateen’s phone records show evidence to the contrary. Defense attorney Charles Swift filed a motion in federal court Monday that suggests Mateen did not know what club he would target even a few hours before the attack. Swift represents Mateen’s wife, Noor Salman, who stands accused of providing material support for a terrorist. Jury selection in her trial started in Orlando this week. Swift’s motion says prosecutors should not be allowed to say Mateen targeted the gay community because he also visited Disney Springs near Walt Disney World the evening of the attack and loaded directions in his phone to EVE Orlando, a high-end lounge that does not specifically cater to LGBT attendees. Salman’s legal team says data obtained from Mateen’s cell phone indicates he had no firm plans to go to Pulse. Mateen left his home around 5 p.m. June 11, and cell tower data and security footage show him at Disney Springs around 10 p.m. Mateen used his phone to make internet searches for “disney springs,” “disney world” and “downtown Orlando nightclubs” that evening. The last search, made at 12:22 a.m. June 12, pulled up results for EVE Orlando and Pulse. Forensic data shows Mateen visited EVE at 12:55 a.m. but drove away six minutes later. The records show he passed Pulse 10 to 15 minutes after that before again doing an internet search for clubs and then getting Google Maps directions to EVE. But he turned around at about 1:35 a.m. and headed back to Pulse. The first shots were reported at Pulse immediately after 2 a.m.
Much of this goes against witness accounts that Mateen was in the club earlier in the evening. And witnesses have told The Advocate that Mateen visited the club multiple times on his own. The defense motion says phone records contradict information from Salman’s own statements to the FBI abut her prior knowledge of the attack, a central part of the federal case against her. But phone records show no evidence Salman and Mateen visited Pulse together. The couple did visit Orlando June 8, when they went to Florida Mall, a Falafel King, and a local mosque, but defense attorneys say that even accounting for gaps in the cell phone data, there was no time to visit those locations and Pulse during that trip. The motion also says there’s no information from Mateen’s home computer verifying he visited the Pulse website. Prosecutors say Salman knew beforehand that Mateen would attack Pulse and that she was present when he bought 200 rounds of ammunition for his revolver. Mateen added Salman and the couple’s son as beneficiaries for a bank account 11 days before the attack.